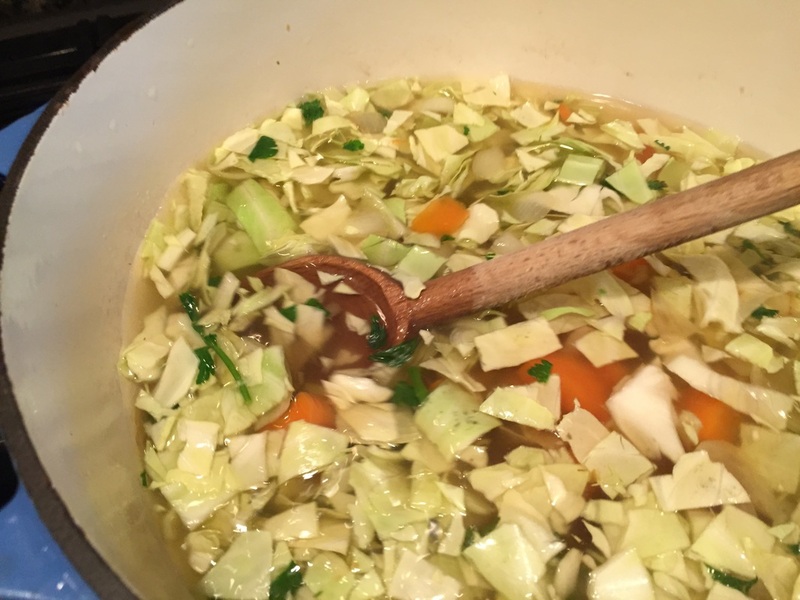 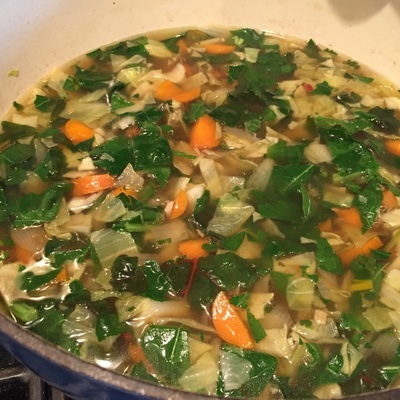 This soup is so healthy and tasty, A little chopping and you are ready to go! 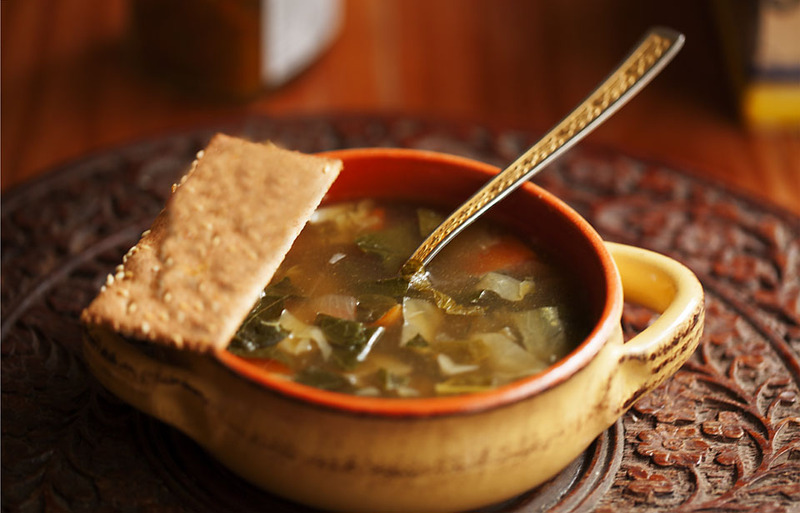 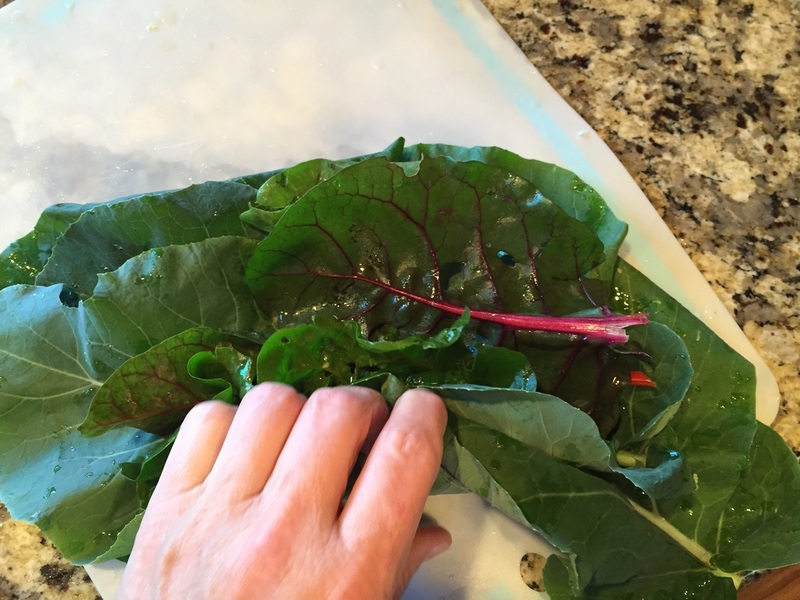 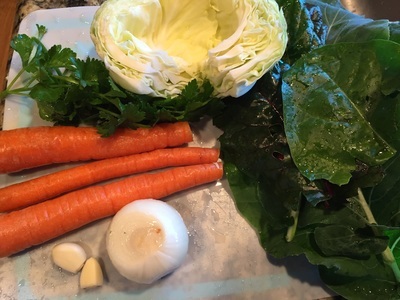 My garden is full of ripe Swiss Chard and that is the greens I used for this soup. 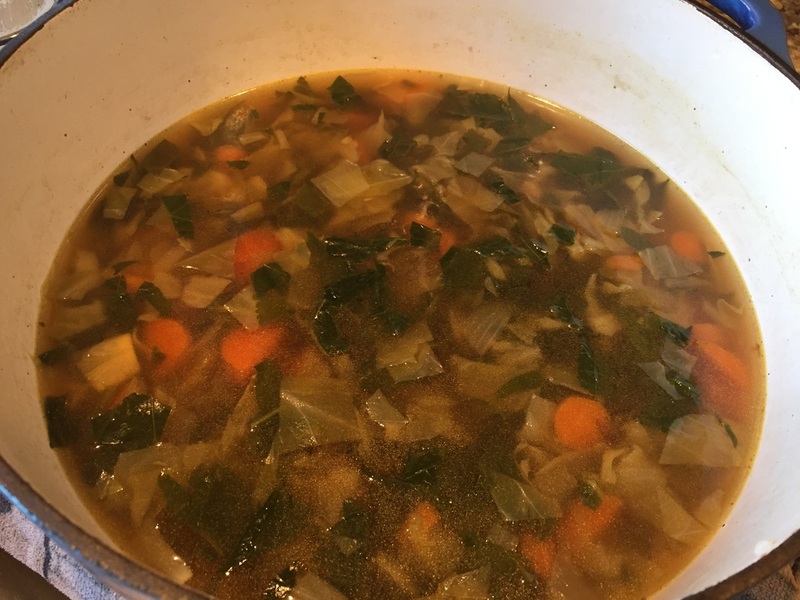 You could also use Spinach, Kale or any other favorite greens and you add them in at the last moment and then turn the heat off. Saute onion and garlic in drizzle of olive oil for a few minutes in a large soup pot. 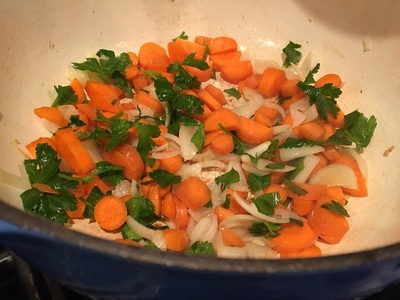 Add carrots and celery and continue to cook for 5 minutes. 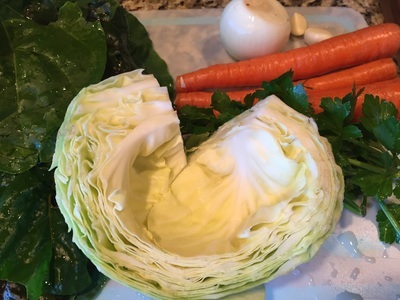 Add broth and cabbage and cook until cabbage is tender 10-15 minutes. 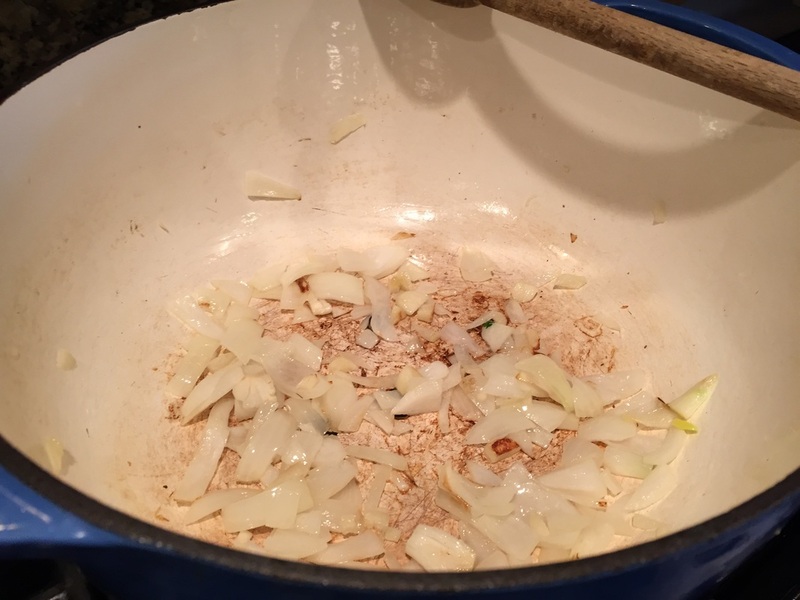 Drop in soy sauce and salt and pepper, taste and adjust. 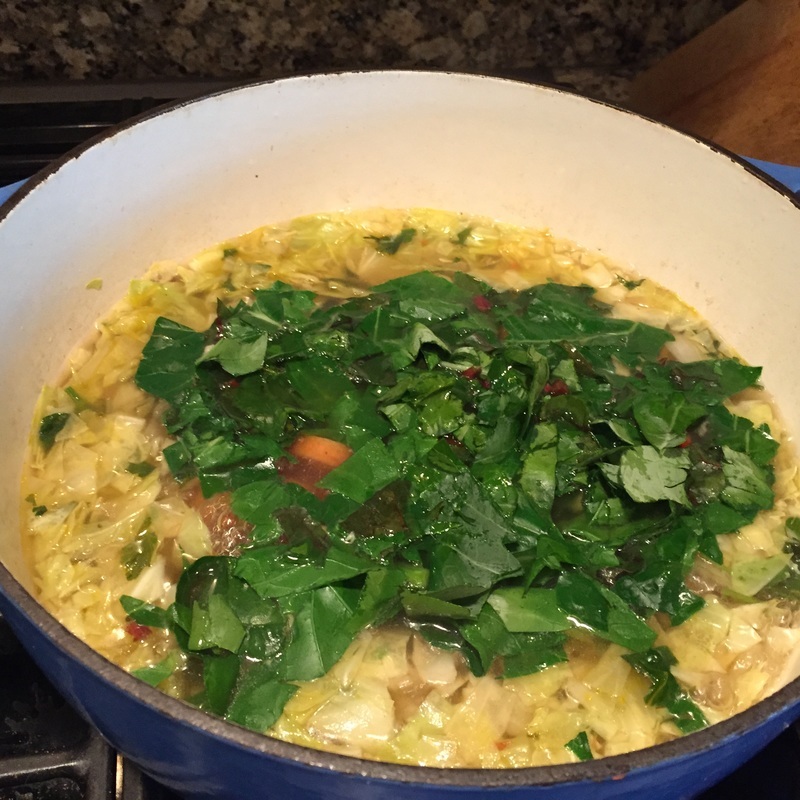 Turn heat off and add in greens. Cover and serve after 5 minutes of steeping. Enjoy this tasty and healthy soup!